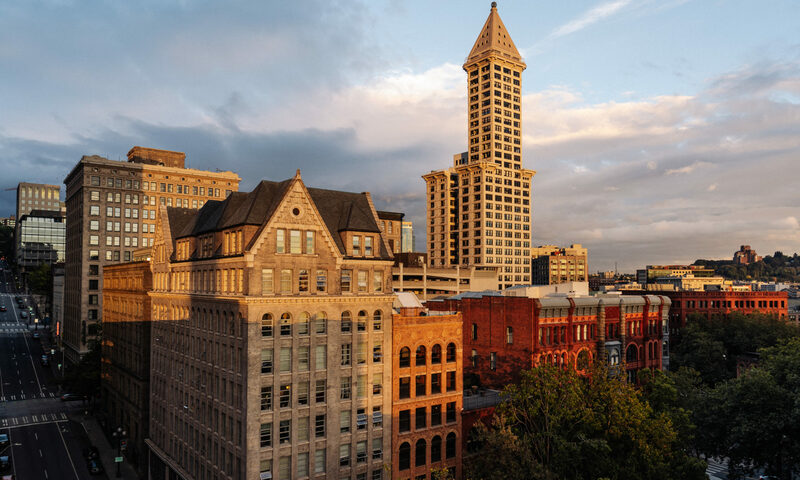 It’s a great time to be out-and-about in Pioneer Square. 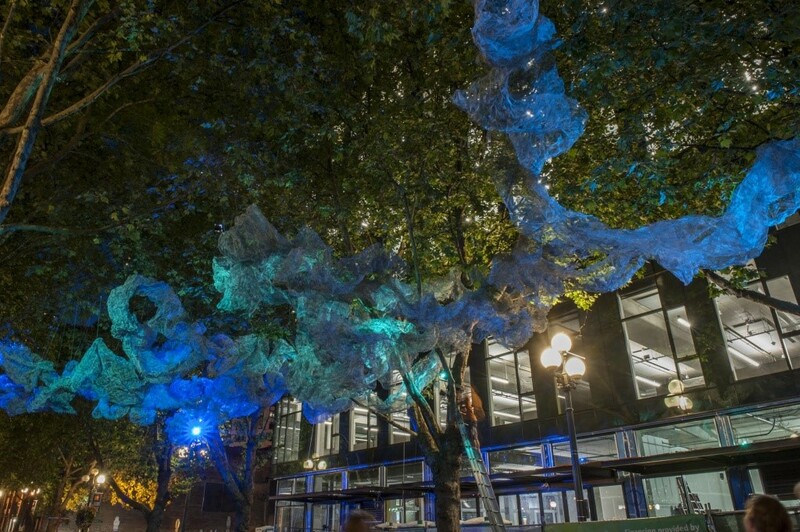 Though we might miss the longer days of summer, the magic of the newly installed seasonal lighting of the trees in Occidental Park is the start of something special. The calendar is filled with a diversity of events taking place throughout the neighborhood. 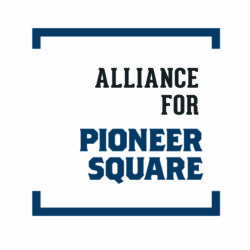 New businesses are joining businesses who have called Pioneer Square home for the past one to 100 years. Grab your jacket and go for a walk. We’ll see you out there! Caffe D’arte, a well-loved Seattle coffee company, opened at 1st & Yesler. Division Road, Inc., a fine menswear boutique, is finally open at 536 1st Ave S in the Florentine Building. A few doors further south, at 558 1st Ave S, is Beast Mode Apparel, Marshawn Lynch’s new apparel store. This store opening is big news for Seahawks fans and more. The Sovereign, the bar now open on the corner of 1st Ave S & S Washington, is a stunner. It’s no wonder why the build-out of this long vacant space is attracting so much attention. What a beautiful space. And though not a storefront, the neighborhood was happy to welcome Weyerhaeuser employees to the new 200 Occidental Building and to Pioneer Square. What’s Happening in the Neighborhood? Have you checked out the Pioneer Square event calendar lately? You may be surprised by the variety of things happening throughout the neighborhood. In addition to well-known and cherished events like First Thursday and gallery openings, you’ll find details about theater, book signings, kids events, music, fundraisers, Occidental Park events, Thrill the World and more. Don’t forget to post your events on the Pioneer Square calendar so people who live and work can be part of the fun! Last week’s cool weather affects the sun baskets… and cold winds can whip the trailing flowers to shreds. As the season changes, it is time to dismantle the hanging baskets in the neighborhood. All shade baskets will be labeled FREE. If you choose to pick one up, they will survive through October and November when you water them daily. Protect from cold and freeze, cut back and water weekly through Dec, Jan, Feb. They will regrow next spring! Trying to direct customers via your website or social media can be tricky. Fortunately, Pioneer Square is located in one of the busiest transit hubs in the region with many forms of public transportation. And all roads lead to or near this neighborhood for those driving. There’s even parking in several off-street garages. We scanned some Pioneer Square business websites and found some great examples of directions for GETTING HERE. Here’s just a few of the creative examples with instructions on driving, public transport and parking. Help SDOT plan and prioritize curb ramp improvements. Tell the Department of Neighborhoods how you’d like to engage under Engage Seattle. Interested in an area not listed here? Send an email to us letting us know. We’ll continue to add to this section as new opportunities arise. The SR 99 tunneling machine Bertha has passed a significant milestone in its journey underneath Seattle. When the machine tunneled past Pike Place Market on Friday, Sept. 30, it pushed beyond the halfway mark of a 9,270-foot-tunnel that will lead to the removal of the Alaskan Way Viaduct. Seattle Tunnel Partners has now excavated more than 4,635 feet of the SR 99 tunnel. Much of that progress occurred during the past five months, with STP tunneling more than 3,000 feet since leaving a planned maintenance stop on April 29 to begin the push beneath the viaduct. Join us at 6 p.m. on Thursday, Nov. 3 at Milepost 31 to learn more about recent progress and next steps. Milepost 31 is open Tuesdays through Saturdays from 11 a.m. to 5 p.m., and stays open until 8 p.m. on First Thursdays. Free parking is available for First Thursday art walk patrons in Pioneer Square. Please visit www.FirstThursdaySeattle.com for more information about participating garages.